We can supply diagrams related to oil palm agronomy. 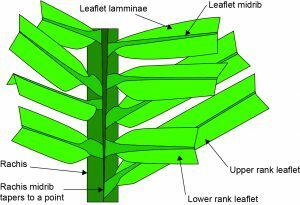 Diagram showing the arrangement of leaflets on the leaf rachis. We have a large stock of images on tropical agriculture and oil palm cultivation from around the world. A selection of images is available at Pinterest. High resolution images for use in publications and reports.